What a difference a week makes! Last week, spring was most definitely in the air. There were promising signs of new growth in the garden and even some colour starting to show. This week, however, it had turned back into a proper cold winter. 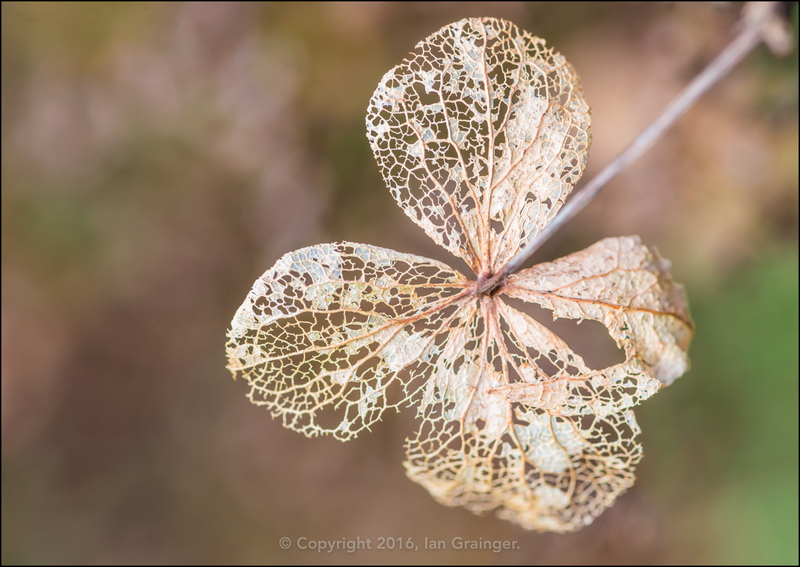 At this time of year it's always a struggle to find something interesting to shoot in the garden, but after a bit of perseverance I found this skeletal looking hydrangea bract. I think the tones are quite pleasing although it looks like it was taken in autumn rather than winter or spring! 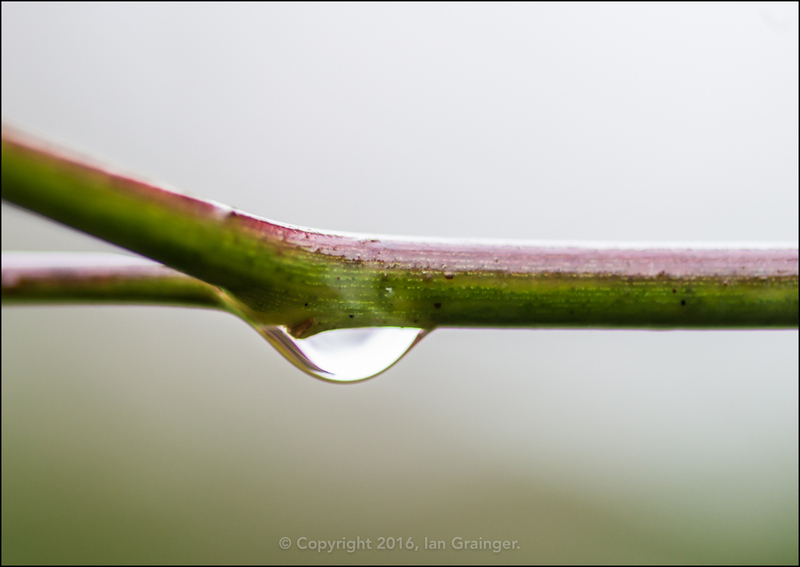 A colourful Rosebush branch played host to one of the many raindrops that has fallen in the past few months. 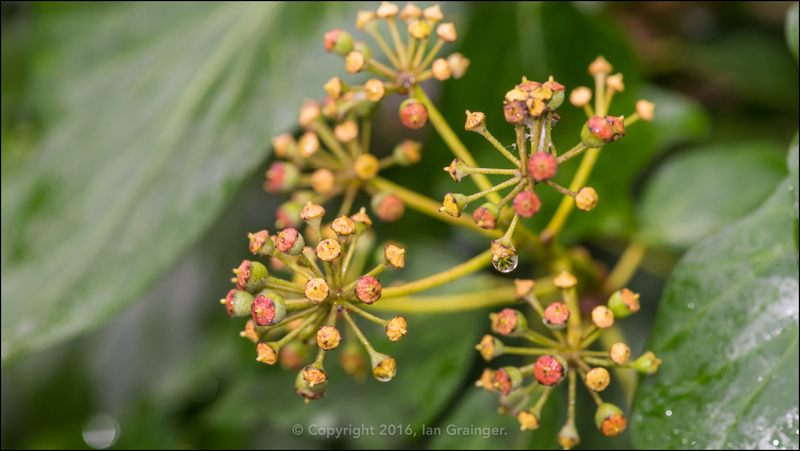 This Common Ivy (Hedera helix) bush always produces these firework like explosions of berries at this time of year. 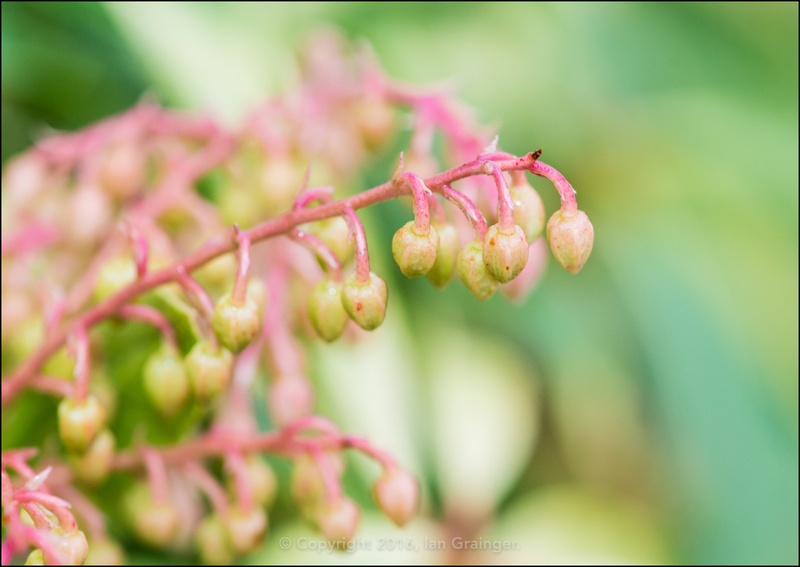 A Forest Flame (Pieris) bush was just starting to form flower buds that will eventually turn white with small pink dots around the bottom. 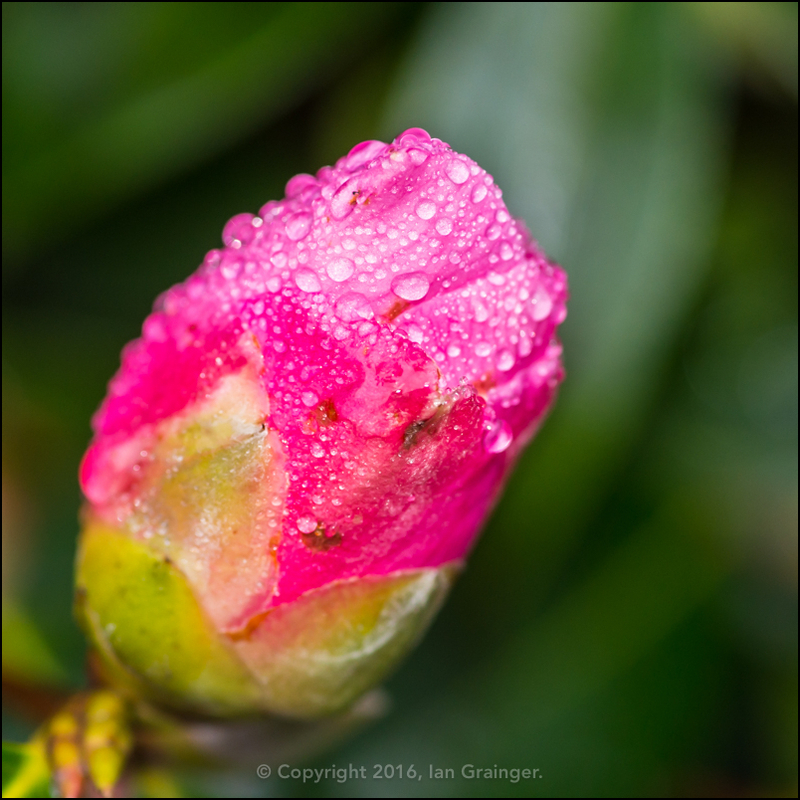 The Camellia bush was still enjoying the wet weather, and was still producing dozens of bright pink flower buds. 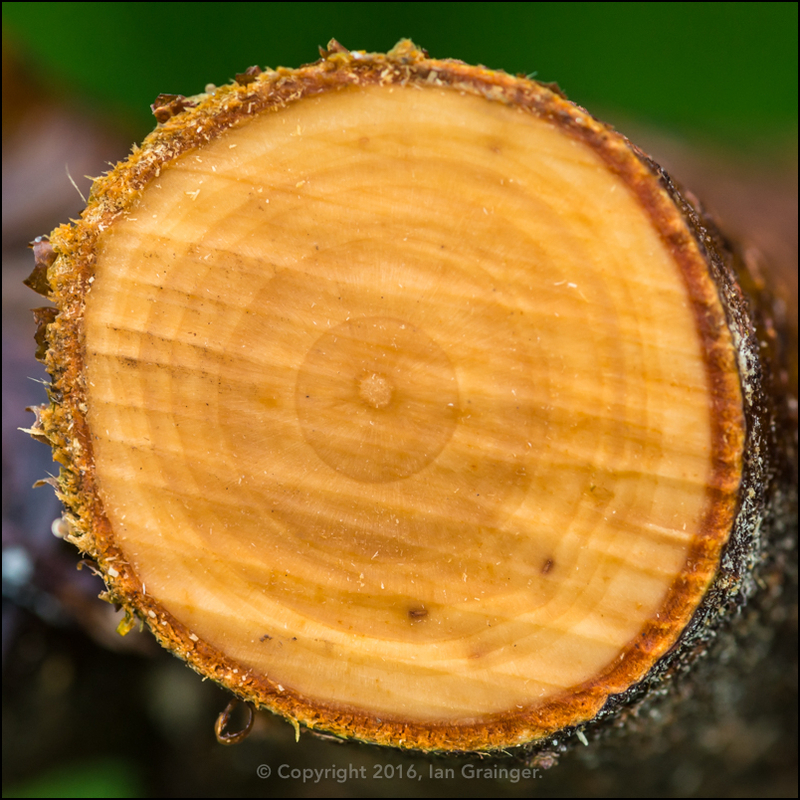 I even found a recently pruned Pyracantha bush and tried to determine how old it was! Can you tell? I count at least eleven rings meaning it must be at least eleven years old I guess? Even though it's drab, cold and wet outside, it doesn't mean there's nothing to photograph. It may be more difficult to locate good subjects at this time of year, but if you take up the challenge, you'll be rewarded by learning how to see the simple beauty in things, and equally as important, how to manage your camera settings to combat the inclement weather.